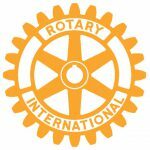 The Rotary Club of Orange supports local community organisations and charities, including youth leadership and advancement programs, health services, local history and heritage. We participate in a variety of humanitarian, educational and cultural exchange programs that touch people’s lives in their local communities and the international community. Through the Rotary Foundation, we support humanitarian work in countries throughout the globe, including emergency shelter and the PolioPlus Program which aims to eradicate polio entirely. To find out more about the work of Rotary in Orange, and how you might like to be involved, check out our current brochure. We hold four markets each year. Become a stallholder or find out more about upcoming market day dates. For more information see our markets page.